Affiliate Links: If you click a link below, I may receive a small comission if you sign up. I pay for this subscription. Another month, another Stitch Fix . I know some may wonder why a style blogger would be interested in Stitch Fix, after all, isn’t the fun part of style the shopping part? While I’d totally say yes, the thing that I like is that it allows me to add pieces (for me, it’s just one piece per fix) that I wouldn’t normally find. The longer with Stitch Fix , the more I’ve noticed that I’m not able to find these exact items anywhere else. 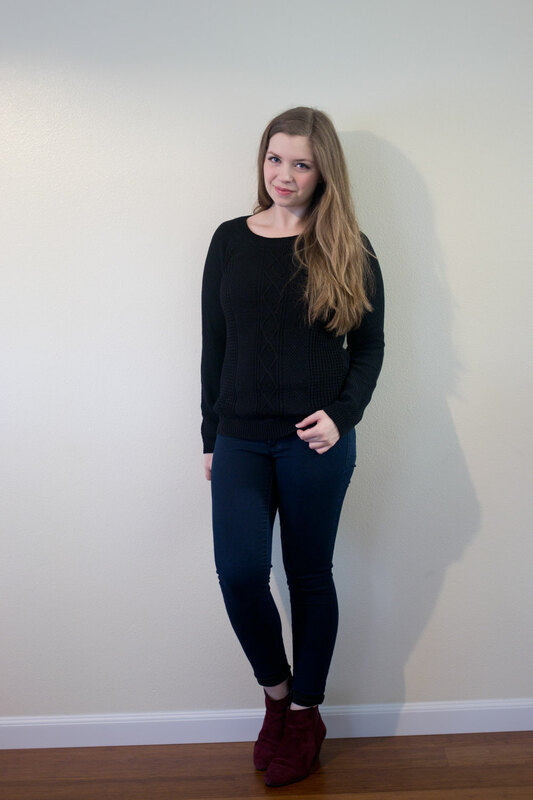 Additionally, I often receive items that I’ve wanted to add to my closet since I’ve pinned similar items. Plus lately, I haven’t had as much time to shop… so it allows me the opportunity to freshen up my closet without leaving the house. It doesn’t always work out for me, like last month when I tried to avoid dress shopping by requesting wedding-appropriate dresses. For something like that, I’ll probably go with Rent the Runway, as I used for Bellevue Fashion Week. Anyways, onto this month’s review! I had pinned this prior to receiving last month’s box and am loving it! 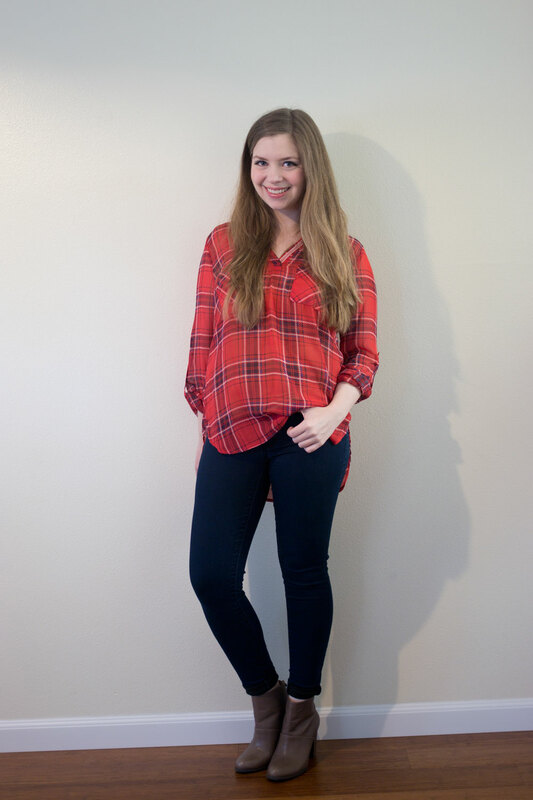 It looks like it will be perfect for the holidays too – what says Christmas more than red plaid, am I right?! As far as fit goes, this is definitely on the loose side, which is good for me since sometimes tops like this run tight in the bust/shoulders on me. I struggled with this one. While I like it, I already own a leather/knit jacket that has this same drape cut front, and it drives me crazy since it doesn’t lay flat. 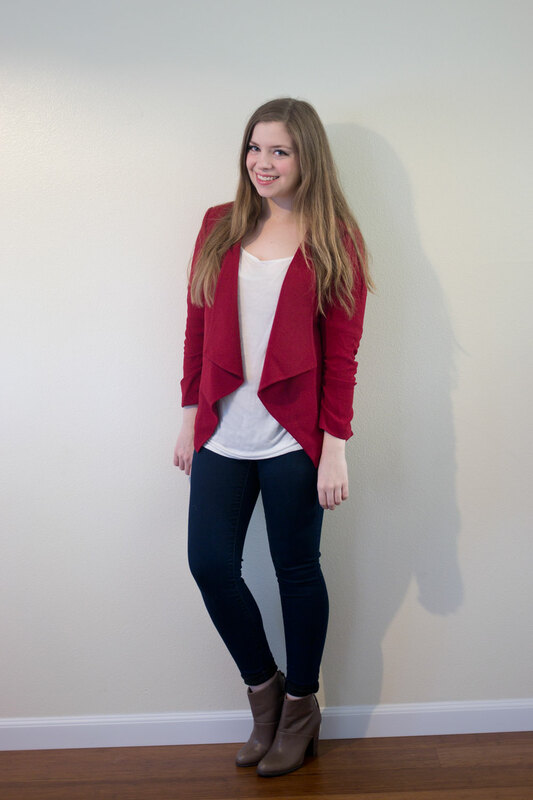 This blazer had the same issue – in half the photos I took it was laying the wrong way. If you’re a little OCD about your clothes, I would pass on this one, but I love the style and wish they had something that would hold it in place. I think Everly dresses run small on the top, as I believe this is the third dress I’ve received that was too tight. Additionally, this pattern isn’t my style and at $68 for a knit dress, I felt the price was too high. Honestly, this sweater was just so boring. I already own a cream cable knit v-neck sweater from Olive & Oak, and while I like it, I just don’t feel the need to own another that’s so similar. I don’t go to Stitch Fix for basics – I like to receive interesting pieces that I can’t find elsewhere since I usually only keep one per box. 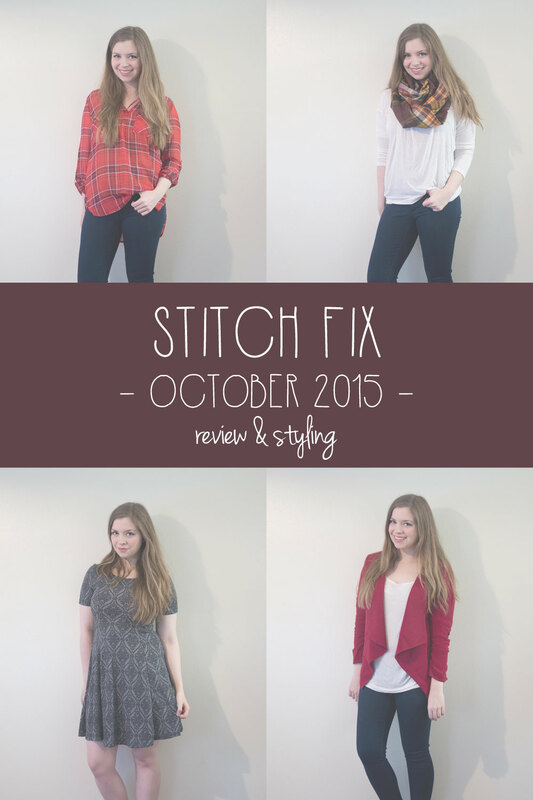 Have you tried Stitch Fix yet? What would you have kept and returned from this month’s Fix? See, I’ve avoided doing Stitch-fix simply because I want to avoid ending up with a box of basic clothing for $60+ and returning it all. Feels wasteful. Definitely understand that! I’ve lucked out and received at least one thing that I’ve liked in each fix (or have given away here :P) but know that it’s not for everyone. Your keep is my pick of the bunch too! Thanks for sharing, StitchFix always intrigues me but I like picking my own stuff out! I do like your method of just keeping one unique piece, that’s a good way to go about it! I’m about to get my third fix next week and hope it has some good stuff! I was super specific about what I wanted to, here’s to hoping! Even though you only kept one piece, I really feel like your fix was on point this month! 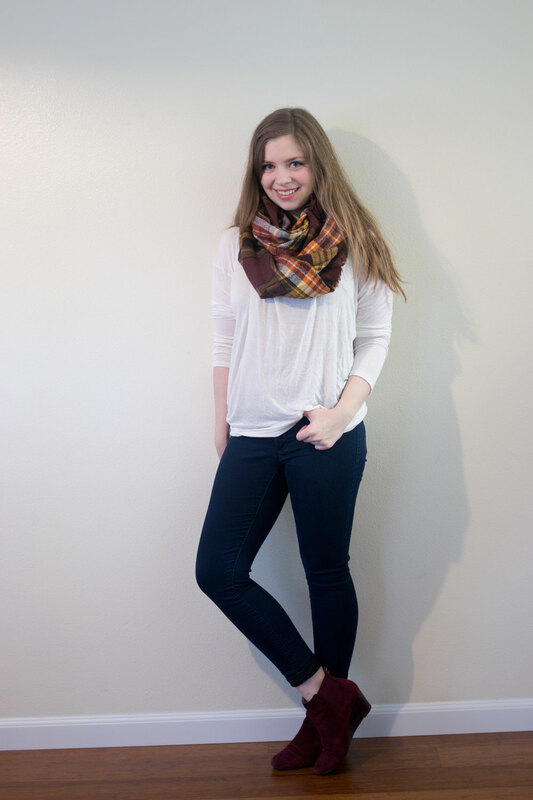 I loved loved the first plaid shirt that you sent; that is perfect for the season! I pinned it; hopefully I’ll get it in my next fix! I love the plaid shirt! Basically living in loose shirts like that lately! Thanks Martha! Haha, I do too, and I rarely wear them. Oops!